Online lots who have met the reserve bid on http://www.jerseybid.comwill sell in chronological order at the end of the cattle lead through the ring. Updates are available on the consignments from the New York Next Generation Sale in Bath, N.Y.
1 Chestnut St., Bath, N.Y. Located at Exit 38, off Route 86. The New York Next Generation Sale is gearing up, with 50 + lots being clipped and prepped at the Steuben County Fairgrounds in Bath, N.Y., while over 70 lots (groups and individuals) are still at their farms throughout New York state. The “on farm” lots are available for pre-bidding on www.jerseybid.com NOW! Cattle with minimum bids MUST meet that bid before 10:00 a.m. on Saturday, May 6, in order to move to the live sale conclusion. All eligible lots will be available to have final bids placed during the LIVE sale in Bath, N.Y., or on JerseyAuctionLive‘s LIVE broadcast and bidding coverage of the entire sale. 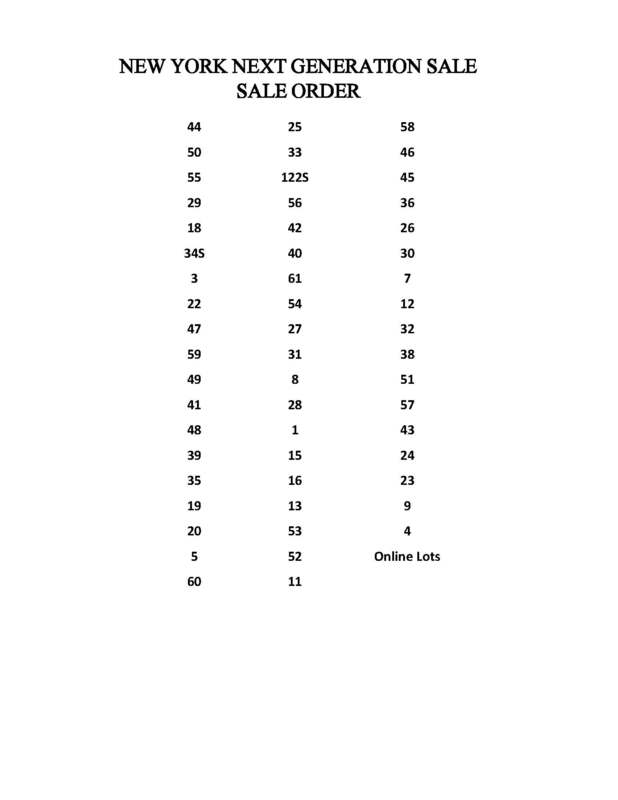 Cataloged Lots 1 – 61 have their videos on the Facebook pages of New York Jersey Breeders or Jersey Marketing Service. Online lots have visuals associated with their individual listings, or you can see the entire group of videos on the Jersey Marketing Service You Tube Channel / New York Next Generation Sale playlist! The New York Next Generation Sale catalog is available online. There will be 60 lots being sold live from the Steuben County fairgrounds in Bath, N.Y., with many others available on http://www.jerseybid.com, housed at their respected herds. All will be sold through LIVE sale bidding on May 6, 2017, starting at 11:00 a.m.
Stay tuned for more information, pictures and videos of sale cattle as sale week approaches! Many items will be posted on the JMS Facebook page, as well as the New York Jersey Breeders Facebook page! The Jersey Marketing Service (JMS) spring 2017 sale calendar has been filling up! Take a look through the dates and sales to see if there is an event where we can help market your registered Jersey cattle. There are several opportunities for breeders of type, deep family lines, genomics, or production to showcase their cattle and pedigrees. While the calendar has several dates reserved, many are still available. If you have an idea of how JMS’s sale staff and management can aid you in Jersey cattle sales and marketing, please let us know! Please let any of your JMS Staff or AJCA/NAJ Area Representatives know if you have consignments for any of these great sales, if you have marketing opportunities you would like our assistance with, or just general questions about registered Jersey cattle!